YHA Bath v Bath, Anglie: Zarezervujte nyní! 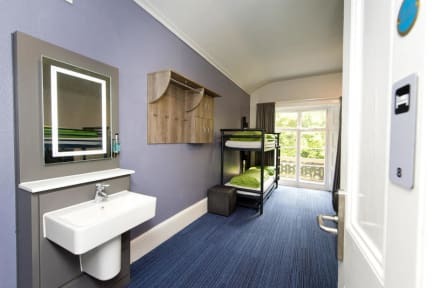 *YHA Bath is undergoing a £2m refurbishment this winter. We are refurbishing the main building, creating a new reception and cafe bar and building a new annexe with all en-suite accommodation. Unfortunately this means that YHA Bath is now closed and will re-open again in Spring 2018. The main hostel building is a beautiful Italianate mansion , set in private grounds, with some bedrooms located in a separate annexe building. YHA Bath is just a short walk from the centre of this vibrant World Heritage City with its many attractions. There's a licensed restaurant for you to relax in after a busy day exploring what the city has to offer. Famed for its grand Georgian architecture and hot springs, Bath is a World Heritage City of many contrasts. It also offers a vibrant nightlife and progressive counter culture to round off your experience. Hearty breakfasts and a quality evening menu are available in our restaurant. 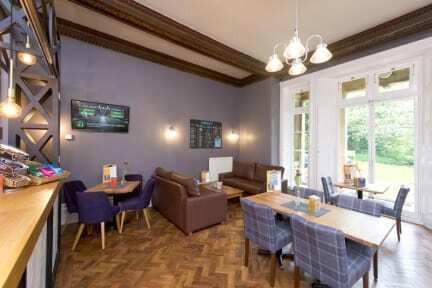 YHA Bath is a listed building and welcomes all types of guests. However, if you have a child under the age of 3 years or any other requirements related to mobility or access, please mention at the time of booking and we will endeavor to book you in the most suitable room. YHA Bath comprises two buildings which are both in the same grounds. For parking, please use Bathwick Hill. Due to emergency vehicle access, the small drive area opposite reception is for baggage drop only. Please note that our postcode does not work in a satellite navigation devise. Please use the road name 'Bathwick Hill' to make sure you arrive in the right place! There is 24 hour access to the hostel for all guests that have checked in (code given during check in). At YHA Bath we strive to cater for everybody. Unfortunately none of our bedrooms or washrooms is accessible to modern standards.